As you age, the face starts to sag, wrinkles starts to appear clearer and volume is losing. Facelift is a procedure that is done to remove all that and to reverse back the aesthetic clock to at least 10 years ago. Facelift dates back years and years ago. Medically, facelift is known as rhytidectomy which was derived from the Greek word ritis which means wrinkles and ektomi which means excision. There are a few types of facelift procedures that are available at my clinic. Each of these options is done based on the patient’s overall look and desired outcome. There are also pros and cons for each of the procedure done. This procedure is also known as Korean 3D V-Contour thread lift. It is a safe, convenient alternative to the traditional facelift surgery that is also minimally invasive. Special threads are used in this procedure that discreetly hold and reposition skin and facial tissue in place. The threads are bi-directional and absorbable, working in dual capacity of lifting and regenerating of collagen. The thread lift procedure is best done for people with good skin tone, with relatively early signs of sagging on the face and neck with the least excess and dropping facial and neck skin. The thread lift effect will last about two years at most and there is a downtime of only a few days. Liquid facelift procedure is done with dermal fillers. It is a non-invasive procedure, which is done to fill up the lines, hollows and wrinkles on the skin. Liquid facelift is done to restore lost volume in the face and give back the tightening effect on the face. The fillers that are used in my clinic are either Restylane or Juverderm and used together with Botox in relaxing the facial lines. Due to the fact that fillers do not require any surgery at all, there is no downtime at all, except some safety precaution with regards to facial washing after the procedure is done. The effects of fillers normally last up to about a year or two, depending on the individual’s body’s break down of materials rate. 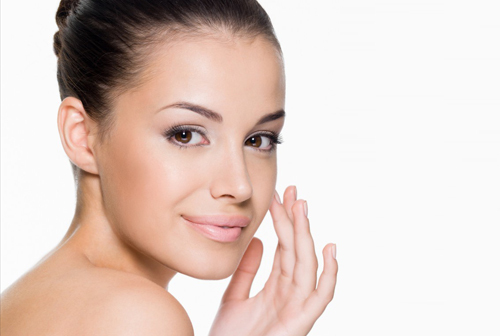 Space lift is the combination of 4D Micro-Nano Fat grafting and Short Incision Lift (SIL). This procedure is done like fillers but instead of using temporary fillers, the individuals own fat is being used. It is also often known as fat transfer and sometimes, doing fat transfer on its own may not suffice. Hence, SIL is performed. SIL is usually done for people who are above 50 years old and it gives a very natural look. SIL is done with the incision located along the hairline, all the way to the back of the ear. This will enable the scarring to be hidden upon healing. The downtime for fat transfer is usually about a week and the effects will last up to five years. SIL will take up a slightly longer downtime of about 2 to 3 weeks with the stitches removed about 1 week after procedure. The effect of SIL would also last up to five years, depending on the condition of the individual. This is a procedure that restores a smooth youthful look. It specially targets the lower eyelids and cheeks area and uses two different techniques. It is able to correct under-eye bags, hollowness of the upper cheeks and give prominent nasal folds. Traditionally, the procedure is done with creating an access point on the lower lash line to get to the cheeks and lower eyelids area. Sometimes, the incision is done through the nasolabial fold. This procedure is done to lift the tissues upwards position of the face. The second technique involves making an access point through two endoscopic incisions placed in the temples, behind the hairlinme.. This procedure gives a more dramatic outcome. This access point allows the facial muscles to be lifted vertically and diagonally. The effect of this procedure lasts up to five years. This procedure in minimally invasive and makes use of heat with controlled radiofrequency which will tighten and burst fat cells on the face. By monitoring the temperature of the skin outside through infrared skin thermometer, chances of burning are avoidable. This procedure is done with the patient wide-awake and has a very minimal downtime. Results are noticed gradually within the few weeks after and last for about a year. The evolvement of facelift throughout the years have been quite dramatic and technologically high. So do come down for a consultation if you’re thinking about restoring your youth.